AllJ Slots offers a number of tools specifically designed for someone building a Slot Machine. 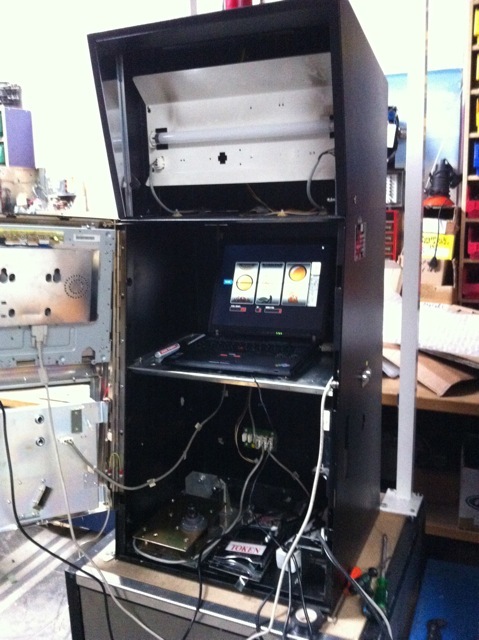 Everything from coin/bill acceptor integration to coin hopper control. 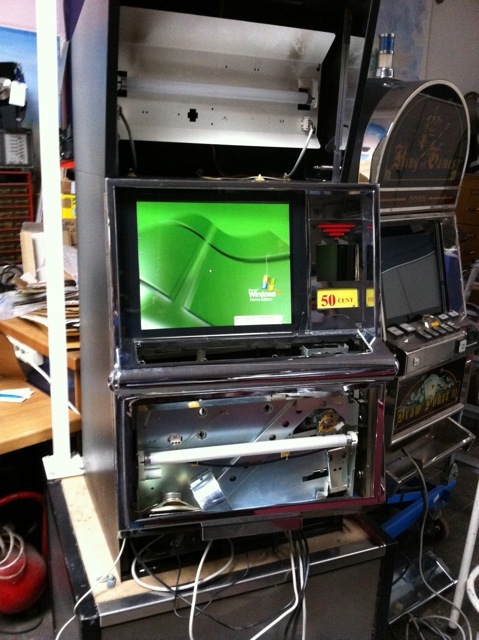 If you're going to build an actual slot machine, download our User Guide and take a look at the section called "Hardware Integration". It has useful information about Coin Hoppers, Credit Boards, Coin Acceptors, and more. 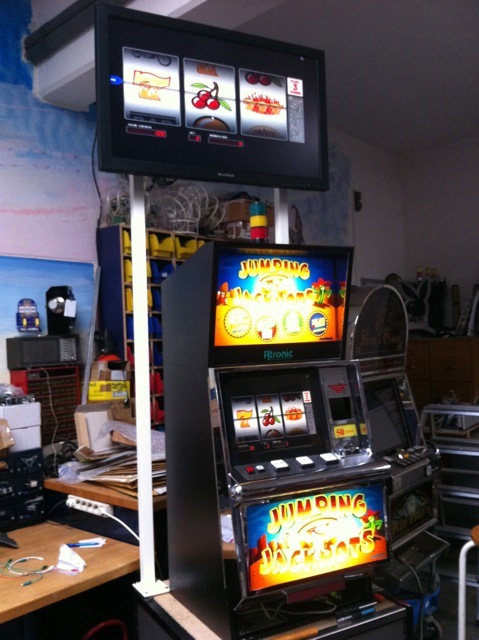 With a little hardware knowledge, time and resources, AllJ Slots can be backfitted into a slot machine case, replacing many of the internal components with your own computer components, and powered by AllJ Slots. 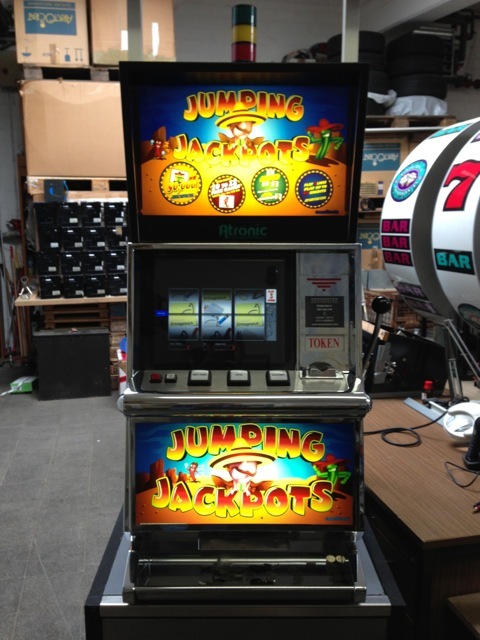 AllJ Slots is a custom slot machine software package that is perfect for having your own slot machine for fund-raisers, trade show attention getters, just for fun, and even for professional business use. If you only want to use AllJ Slots as a prize giveaway tool at a Trade Show or Expo, please go HERE. This will explain some of the tools that will make that easy and fun! need assistance, please feel free to email or call us. There is an affordable USB module that is provided by USBButtons.com®. This plug-and-play USB circuit module is ready to go and emulates each of the needed keystrokes for AllJ Slots, and is wiring compatible with Suzo/Happ buttons and any other custom button system. It also has the 5v wiring for the button lamps. This controller board is available for only $119 at: www.USBButtons.com.